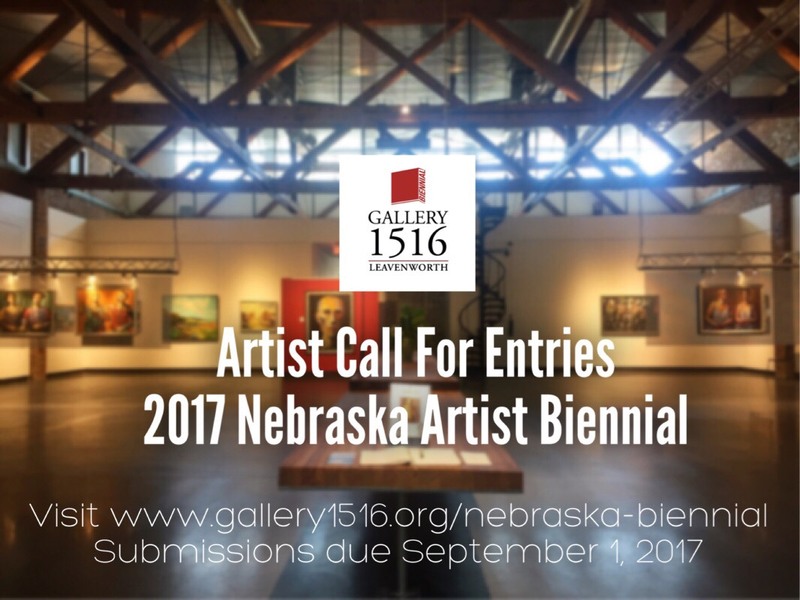 Gallery 1516 is now accepting entries for the 2017 Nebraska Artist Biennial. The winner of each category will be awarded an unrestricted cash prize and a selection of his or her works will be shown at Gallery 1516 in the fall of 2017 along with 50 additional artist entries selected by a 3-panel jury. The artwork for the exhibition will be reviewed anonymously and will be included in the Nebraska Artist Biennial exhibition at Gallery 1516 opening November 3 thru December 30, 2017. Artists are encouraged to submit their most recent body of work, although this is not a requirement (everyone has a piece that stands the test of time and will be eligible). Administered by GALLERY 1516, this biennial juried award/exhibition honors NEBRASKA artists for their original, exceptional, and compelling work. The awards are open to Nebraska 2-D visual artists working in Drawing, Painting or Photography. All entries must be submitted on-line--entries sent by standard mail will not be accepted. Please upload a resume, artist statement, and up to three images with your on-line application. When uploading your images, you will be asked to include the title, date, medium, and dimensions of each work. Please also include a brief description about the image. All applications must be completed and submitted on-line by MIDNIGHT CST on September 1, 2017.